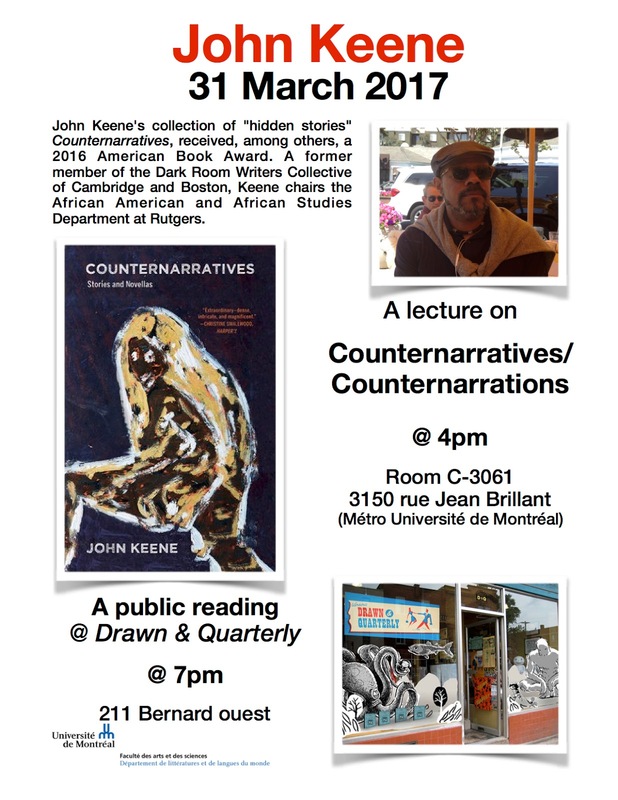 Join highly-acclaimed author John Keene on Friday, March 31st at 7:00 pm for a presentation on Counternarratives. Keene’s collection of “hidden stories,” Counternarratives received, among others, a 2016 American Book Award and a 2016 Lannan Literary Award in fiction. A former member of the Dark Room Writers Collective of Cambridge and Boston and a Graduate Fellow of Cave Canem, he chairs the African American and African Studies Department and is Associate Professor of English and AAAS at Rutgers University-Newark.